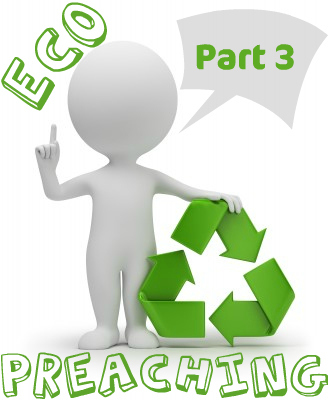 Here are five potential benefits that can come from recycling sermons. Not every one will apply to every situation, nor will every one always be a benefit. Please apply wisdom and balance this post with tomorrow’s post on the dangers of recycling sermons! 1. Time. Time is a valuable commodity. If I committed to never recycling a sermon, then I would have to take on a significantly lower amount of preaching in venues other than my local church. It can be a privilege to serve another group with a recycled sermon that doesn’t require me to sacrifice my main ministry commitments or my family. 2. Greater conviction. The first time a message is preached, it may only have a few days to saturate the heart and life of the preacher. If that message is recycled prayerfully and honestly, then the reworking of the text and the re-preaching of the message can allow the truth of it to penetrate deeper into the preacher’s life. This is not the case when a sermon becomes a mere performance through prayerless and heartless repetition. Sometimes I will listen to a message again, allowing it to minister to me, as part of my preparation to preach the same basic message. 3. Better message. If point 2 suggests that recycling can lead to a better preacher, then this point suggests the possibility of a better message. By prayerfully reviewing the first presentation, and by working further on both text and message, the recycled sermon can be a better one that its predecessor. 4. Offering our best. Let’s say a preacher is invited to preach as a guest somewhere. While it may be fair to critique itinerant preachers with their single polished gem of a sermon, there is also something to be said for a preacher offering their best. So for example, a younger preacher may have far better training and study in one particular book – why impose the requirement of preaching from a completely new section every time? I’d rather hear a preacher handling a text well than struggling through something that is new to them. If a sermon has been prepared well and it was worth saying once, why wouldn’t it be worth saying again (if refreshed, see yesterday’s post).